A short & sharp fell race that goes straight up to a trig then straight back down. Ravenstor Road, Wirksworth, DE4 4FH, below the National Stone Centre. Enter in advance to guarantee your place for £5 or pay on the day for £7. 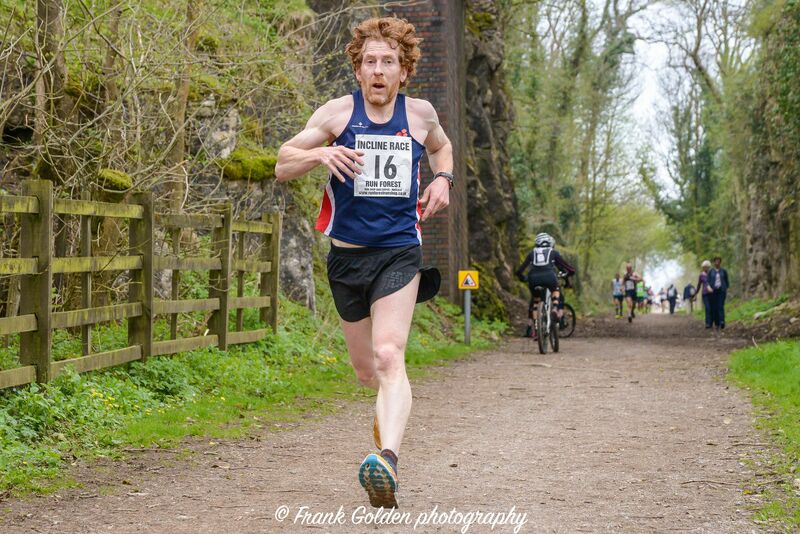 It was back in 1990 that Alan Woolley had the idea to put on a running race up on the Middleton Incline. The intent was to raise money for the Wirksworth Carnival and for many years, the proceeds from the race helped the carnival floats. The race is unusual in that it was started by a non-runner, Alan has never run the course, and all the marshalls were non-running members of the Carnival committee. Alan and his perennial helpers handed over the race to Wirksworth Running Club to carry on the great work and the link to the Wirksworth community continues to this day. For the last 2 years, a donation has been made to the Middleton and Wirksworth Wrestling Club. The first ever winners of the Rod Wooley Shields, named in memory of Alan’s son, were Edward Thomas in 23:44 and Biddy Lindop in 33:28. The next year, the race attracted some serious speed and Phil Bowler set the course record in the first of his 5 consecutive victories. That record of 21:59 stood unchallenged from 1991 until the course was changed in 2009. The ladies times got fast and faster until 2003 when Janet Kenyon lowered her existing record of 25:58 set in 2000 to 25:41. Despite repeated attacks by Clare McKittrick, this record stood until 2009 and the course change. In 2009 the course was extended slightly to the Trig point at Batemans Plantations, taking the highest point of the race to 358 metres (1174 ft). 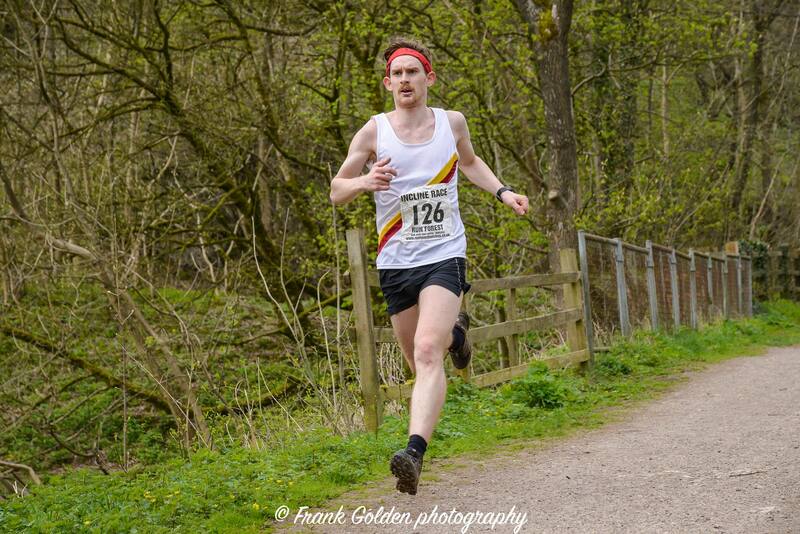 The current men’s record was set in the first year by Andrew Ward at 23:41 finishing just 4s in front of Stuart Bond. Stuart has since raced another 4 times, winning twice but missing the record by a matter of seconds each time. Clare McKittrick came back and set the ladies record in 2011 at 27:08. Wendy Smith lived in Wirksworth and was a member of the running club. She helped with the Incline Race for many years and was a teacher in a local school. She invented the Junior race to get youngsters interested in running, it was instantly a hit with the kids. She tragically died in 2014 so the Junior race is named in her honour and the winners get a trophy made with wood from the race course and made by a friend of Wendy’s, Peter Cousins, a local artist. We’ve now had children who have competed in the junior, the short and long course races as they’ve grown up. The route starts on the smooth tarmac of Ravenstor Road in the The Wirksworth Industrial Estate at 80 metres or 600 ft above sea level. This particular bit of tarmac is notable in Wirksworth for being absolutely flat. At the gun, or enthusiastic shout, it’s a flat out sprint towards the first corner just 50 metres away where a sharp right turn waves farewell to the flat. 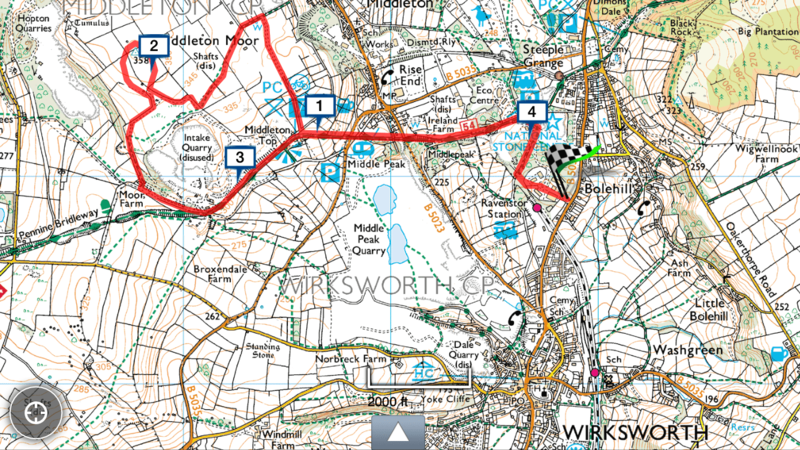 The next 400m is over the gravel, through the National Stone Centre and onto the High Peak Trail. Just 500m in and we’ve climbed the first 40 metres. Officially, it’s a 77 metre climb over a distance of 636 meters, that’s 1 in 8½ or 12%. Reaching the top of the incline breaks the 1000 ft barrier. Many people have made it to the old winding house at the top of the incline only to find that there’s more climbing to be done. Unless you’ve turned around at the winding house to do the short course. Many a competitor has reached halfway up the incline only to have a soft footed 14 year old come hurtling by on the way down. On the long course, that’s only about 2/3 of the climbing done. There’s another 55 metres of climbing to do. The route continues to climb across the fields and up to the Trig Point, topping out at 358 metres (1174 ft). [Picture from the trig point]. A quick turn around the trig point and it’s (nearly) all downhill. The first drop takes goes back to the trail across fields, over stiles, through gates and through Mr Moseley’s farm (whose generous permission for unfettered access all these years allows the race to continue). Further descent on uncertain footing across the gravel takes you to the final 50m and that lovely piece of tarmac. Anyone who can raise a sprint here probably hasn’t tried hard enough. The race is a microcosm of the Peak District: up, across and down. No runner who lives here doesn’t know the exquisite pain and pleasure of this triumvirate, neatly encapsulated in this race. To ensure the future of the event, there is the Wendy Smith Junior race that loops around the stone centre and back. We in no way spare these fledglings making them run up the gravel path, skirt round precipitous drops (past nationally important crinoid fossils if only they knew) and down through the woods which we half-heartedly clear of major branch-falls and brambles the day before. Survival of the fittest will ensure we have a crop of young adults to tackle the Incline proper in the years to come.